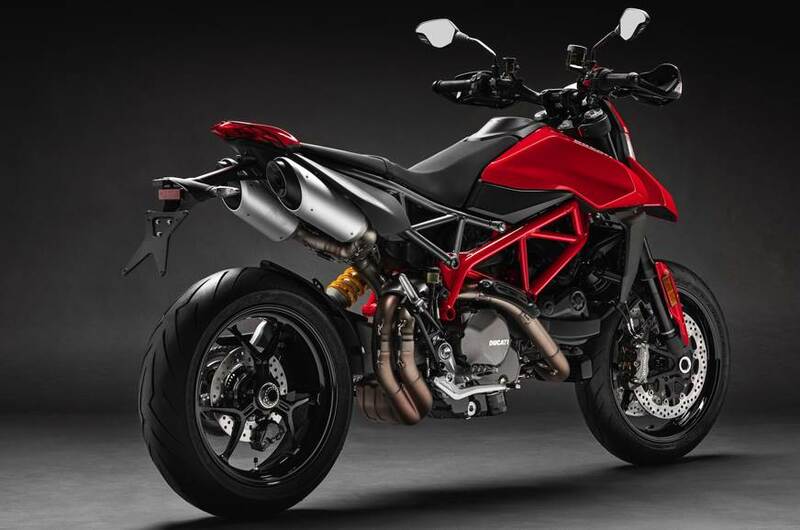 Ducati has showcased the 2019 Hypermotard 950 at the ongoing EICMA show in Milan. This all-new model will be sold in standard and SP variants and will hit Indian showrooms by mid-2019. Powering the bike is a 937cc, L-Twin, Loquid-cooled motor producing 114 HP of power and 96 Nm of torque which is 4 HP and 1 Nm more than before. The bike now gets new exhaust valve timing, new throttle bodies, new fuel injection and can produce 80% of its torque at 3000 RPM. The engine is matched to a 6-speed gearbox with slipper assist clutch and also a bi-directional quickshifter is optional for the standard variant. 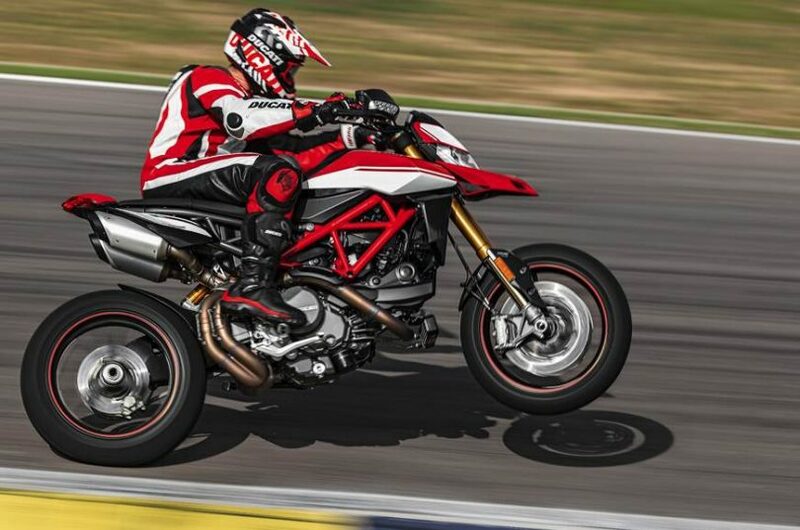 The 2019 Ducati Hypermotard 950 has a flatter handlebar, new under seat twin exhausts, LED DRLs, LED tail lamp, new body work with exposed trellis chassis, single-sided swing arm, Brembo brakes, 6-axis IMU, cornering ABS with 3 settings, LED turn indicators mounted on knuckle guards, full-colour TFT display and more. The SP variant gets Marchesini wheels and the red+white colour scheme. 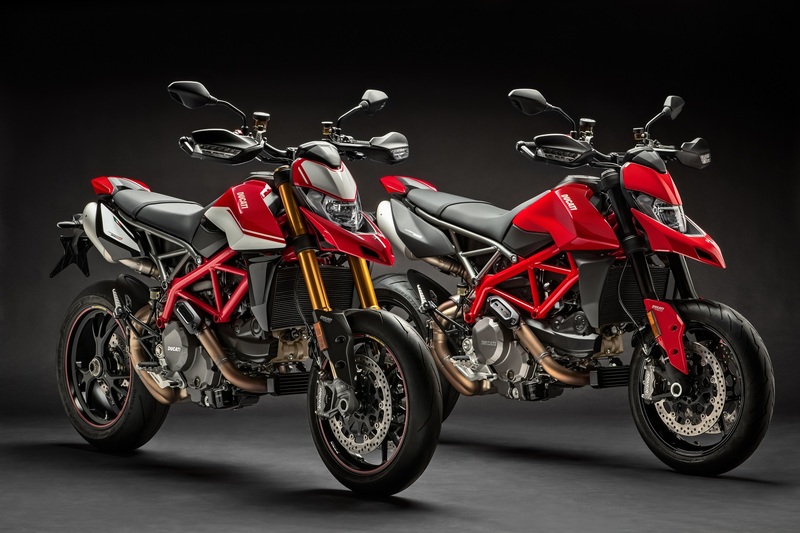 The SP version has fully adjustable Ohlins suspension at the front and back while the standard variant comes with a Marzocchi USD front fork and a Sachs monoshock at the back.